Are you longing for the feel of fresh crisp snow under your feet and the wind in your hair as you fly down some huge slope? There are bound to be thrills galore when you go winter skiing. But, like any adventure in the great outdoors, preparation is the key to getting the most out the time you have. From the correct stance to the correct pack, the right bindings to the right boots, here are the must haves for hitting the slopes so the slopes don’t hit back. The type of backpack you carry has a huge impact on your journey whether it’s a long distance adventure or an outing with a club in the vicinity. Where you are going and how long you are planning to stay dictates the size of the backpack you need. You can opt for a backpack with less gear capacity for a day at a resort and a large capacity pack for an adventurous backcountry trip. Low Gear Capacity Backpack: These are smaller backpacks with gear capacity of 20 liters maximum. They are ideal for trips involving chair lifts or helicopter rides or just for storing extras for resort skiing. Medium Gear Capacity Backpack: These backpacks have 20-35 liters gear capacity and are good for single day skiing trips in the backcountry. Larger Gear Capacity Backpack: These are the big backpacks with 35 to 55 liters gear capacity. They are used for longer trips which involve staying in huts that have space to accommodate belongings. Appropriate water intake is an essential requirement for all sports players and skiers are no exception. Skiers are more prone to dehydration due to drinking water freezing. Many ski backpacks come with different kinds of hydration system. Some have built-in water reservoir or bladder while others have space for accommodating water reservoirs, hydration packs and bladders. Some ski backpacks even come with an insulated sleeve to protect water from freezing in the bottle. The purpose of each is to provide a sufficient amount of water for skiers to avoid dehydration. A skiing helmet is another essential requirement for winter skiing. It is not your usual biking or skateboard helmet but has its own unique features to keep you warm in freezing weather. Skiing helmets usually have an ear cover and moisture-wick liners and are made of temperature-sensitive materials suitable for skiers only. 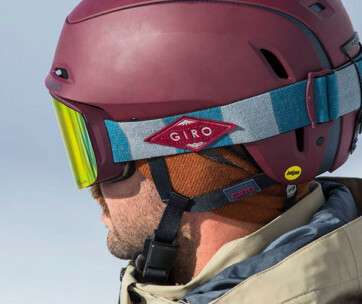 Outer Shell: The outer layer or shell of the helmet is a hard rigid surface made up of ABS high-impact plastic that protects the head from possible injuries and is also beneficial in reducing adverse impacts of falls during skiing. Inner Layer: In contrast to the outer layer, the inner layer of the skiing helmet is EPS (expanded polystyrene) foam with the texture of Styrofoam. It is super shock absorbent and provides a soft cushioning to the head in case of a fall. This layer usually gets damaged in case of any major fall or accident. Chinstrap and Buckles: The chinstrap and buckles of the helmets must be fastened appropriately before taking a ride. They must be tight enough so that the helmet retains its place even if you come across a serious jerk or fall but at the same time it must be loose enough to not impede breathing. Ski bindings are devices that bind your shoes on a ski. They must be flexible enough to easily detach in an incident to save your legs from any major injury. Ski bindings can simply make or break your skiing adventure with the amount of movement they allow you. DIN is the industry standard scale for release force settings for ski bindings. It decides how easily your boots can be detached from the ski. Your DIN setting is based on your weight, height, skier type, age, and boot sole length. Check this essential feature carefully for the correct fit with the help of a technician. There are special socks designed for skiers. They are more absorbent and reduce the chances of sweat freezing inside your boots which is very uncomfortable for skiers. Often beginner skiers wear multiple layers of socks for skiing but this only increases the heat inside the boots and results in blisters on feet. Choosing appropriate ski boots is a complicated task and requires experienced guidance. 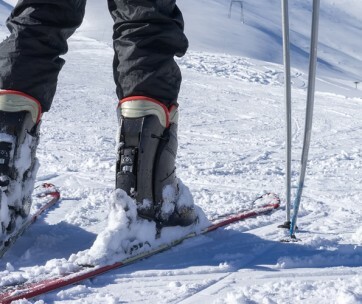 You don’t need a rigid sole for skiing boots but the boot must be tight around your shin. The buckles must fasten tight to keep feet protected from moisture but at the same time, they must be comfortable for the wearer. Boots with low flexes are a good choice for skiing. 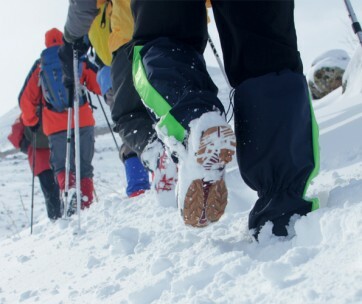 Women should opt for boots with a flex of 50 – 60 for skiing while boots with 60 – 80 flex are recommended for men. Position during skiing – As a novice skier you must pay special attention on your position. An ideal pose is to keep your legs parallel and knees bent. You can also opt for snow plow position of your legs with tips of your skis joint together although the bent knees position is more effective on a bumpy way. Stance while skiing – Lean into the shins of your ski boots for a better balance and control on sloped terrain. Always lean forward and never backward, as if you were about to dive into a pool. Flex and Gaze – Along with bending your knees, you also need to bend your elbows at 75 degrees and keep your focus on the slope ahead and not down on your skies. Keeping it real, if it’s your ffirst-timewinter skiing, the chances are that even with your pose perfect and your flex just right, you’re not going to rival James Bond in the first few hours. However, at least when you fall prone into the crisp snow you’ve been craving, your head will be protected and your feet bone dry. With a couple of sips from your hydration system and a deep breath, you’ll up brushing yourself down and ready to give tackling the slopes another good go.